It's another Summer Friday, so that means another installment of the Road to a Blockbuster - our weekly examination of each big budget, overhyped Summer Movie's potential for greatness. We're of course not only looking for its commercial potential though, but its capability to leave an inscrutable mark on our critical and cultural landscape. In what's surely to become one of the crazier weekends in recent memory, we have three very different films landing this week. That would be Fast & Furious 6 (2013), The Hangover: Part III (2013), and EPIC (2013). So, let's start with EPIC. Have you ever heard of this movie? That's okay, no one else has, either. EPIC weaves the tale of...I dunno, a jungle or something. Actually without looking anything up that's about all I have to go on. While the voice cast is actually fairly...well, epic, this has had a really understated marketing campaign that has been directed more towards children rather than other animated far from Pixar or Dreamworks that tends to have a wide crossover appeal. It will have the family attendance locked down for sure, and it's been a while since The Croods (2013), although that still somehow isn't doing that shabby. Still, this is no Croods. It'll do well enough through its effective targeting on this big weekend, but I don't think we're going to lovingly reminisce about any of the snails form EPIC ten years from now. So now, let's finally get into the real meat of this weekend. Fast vs. Hangover. It's an incredible assault of bad behavior - fast cars, booze, criminals, mayhem, and all kinds of animals coming out of the closet for sure. The latest installment in the "Fast" franchise, which is somehow up to movie #6, is the one that is threatening to top all those who dare challenge it, though. You can call this flick anything, by the way. 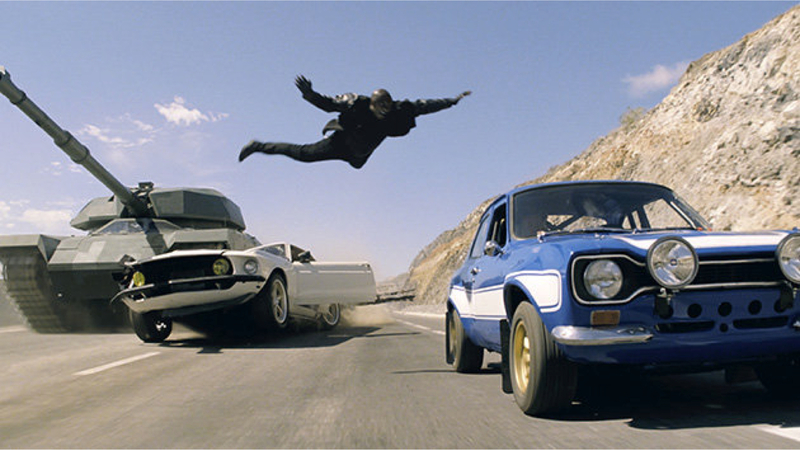 It's officially Fast & Furious 6, but technically it could be considered The Fast and The Furious 6 or Fast & Furious 3, since it tends to round out a mini-trilogy that began with Fast & Furious (2009). Got all that? Personally, I like the idea of just calling it Furious Six after Fast Five. Fast Five, Furious Six. You got it. I'm calling it that from now on. There's a lot more to get into with this franchise that really deserves its own post. From the successive downgrades (Tokyo Drift  was an inch away from a Direct-to-DVD release, though the surprise cameo by Vin Diesel completely legitimated the film and rendered it infallible within the franchise's universe), to a sudden resurgence, these movies have crawled and scrapped their way into being a legitimate big budget Memorial Day Release, with each successive installment improving on its predecessor. When the fifth film in a franchise is the undisputed best film, there's something special there. Furious Six promises more of the same, and with a May release instead of late April, it's about guaranteed to bring in the bucks. But here's the big question - will it really impact our culture? Hell yeah. However, it's getting to point where these are like Harry Potter movies. There are so many of them (yes, a 7th is on the way, and why stop there?) that they really have their own stamp as a whole, rather than making waves individually. It's also fantastic that all these films have basically continued telling one or two stories. You'd be hard pressed to find another that doesn't trend towards episodic storytelling. Of all these flicks there will always been one or two that stand out. Right now the general consensus is actually leaning towards an inverse of the Star Trek "even-numbered rule," in that odd Fast films (The Fast and the Furious , Tokyo Drift, and Fast Five) tend to be the more fondly remembered while 2 Fast 2 Furious (2003) and Fast & Furious tend to fall by the wayside in a few reputable rankings. From the looks of it, Furious Six breaks this streak, but we'll have to see it ourselves to be sure. How did you first meet Zach? So against this franchise on the rise is pitted a franchise on the decline. I'll still contend that The Hangover: Part II (2011) was a superior film to The Hangover (2009), even though the plots were largely identical. Still, the jokes were different, and I identified more with the stickly grime of Bangkok rather than the dry glitz of Vegas. Ultimately, though, while The Hangover remains one of the greatest comedies of all time, and even earned a scene among Mel Brooks' all-time favorites (along with, you know, Psycho , Treasure of the Sierra Madre , Some Like It Hot , A Streetcar Named Desire  and Citizen Kane (1941] - yes, all equal to The Hangover). Despite refinement and improved jokes, however, any follow-up will ultimately be deemed derivative of the groundbreaking high concept in comedy. 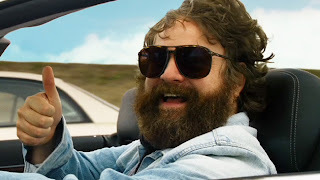 Thus, similar to the Fast franchise, the impact of The Hangover: Part III will be lessened as it is looped into the impact of the Hangover franchise as a whole. There are very few comedy sequels that work. There are even fewer trilogies that work. Among the more notable comedy trilogies include Austin Powers, Big Momma's House, The Naked Gun, Porky's, Crocodile Dundee, Friday, and Jackass. Yeah, that's a rough list. Of these, only Jackass really improved as it progressed, but you could hardly say that was for sake of story. What The Hangover has most in common with is probably Austin Powers - a star-centered big budget comedy that is also incredibly successful, although certainly a victim of diminishing returns. 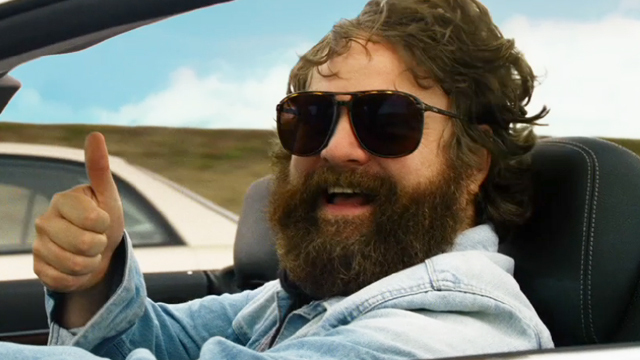 Part of the reason I loved The Hangover: Part II so much is because I went into the film completely cold. I had not watched a single trailer or TV commercial or read any articles about it. For Part III I've been even more in the dark, this time actually prematurely leaving theaters when it comes on before another movie, and even neglecting to read even the most bare bones of synopses or plot details. I'm not even quite sure what city it takes place in. Maybe this is all in an attempt to try to make a poor film better for my individual experience. But hey - what's wrong with that? I'll bet that Furious Six comes out with an edge this weekend. Although they're fairly different genres - the broad PG-13 action film is sure to beat the hard R comedy, even though the Hangover tends to routinely defy that prediction, already serving up some of the highest-grossing R-films of all time, and, if not for TED (2012), by far the highest grossing R-comedies. None of this really makes sense. Sure these are some great films, but casting three relatively unknowns in a bizarrely and unapologetically cruel summer comedy film does't seen like the best way to make $467 million worldwide. But hey, who cares, it worked. Will Part III match that feat? It's gonna be rough. As a side note, if you think you can write your OWN Hangover movie, be sure to consult our handy guide!